Construction of two nursery classrooms to replace the original condemned building. A local businessman was troubled by the number of orphans and disadvantaged children in his area who did not have the opportunity to go to school and receive an education. In 2012, he and other concerned people from the community formed a governing board and started the school, using two rented houses as accommodation. Today the number of students is well over 500 from the earliest kindergarten level (age 3) to grade 7. With the help of some donations they have been able to purchase a small piece of land and build a classroom block. Classrooms are very crowded, holding 80 or more students. Over 200 of the students have been brought to them by social workers or by older siblings struggling to care for them as they have no parents. The school has decided not to turn these orphans away. After school hours they are housed in the director's house, where they are forced to sleep up to five children per mattress on the floor. These children are fed by the school and supplied with school uniforms. Not only was there a pressing need for more classroom space, but dormitory accommodation was also badly needed. When Classrooms for Africa representatives visited the school in 2015, they were impressed by the quality of education the children were receiving and by the high standard of cleanliness and behaviour. 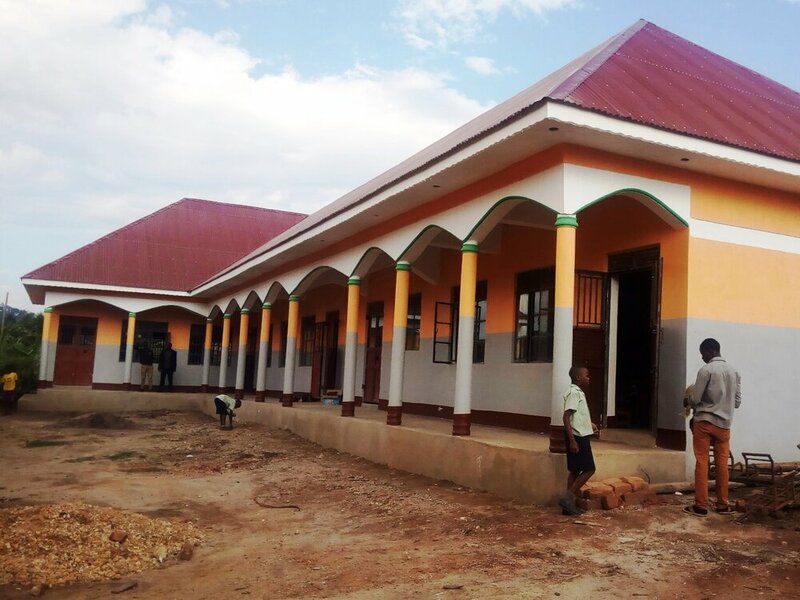 Since that time donors, through Classrooms for Africa, have provided funds for a four-classroom elementary block, one nursery classroom, a girls’ dormitory accommodation and a boys’ dormitory accommodation. All were completed on budget in a very timely and efficient manner. Local authorities have now condemned the old temporary nursery classroom as unsafe and forbidden their use. Because of this the school urgently needs two nursery classrooms to accommodate the children who have been displaced.